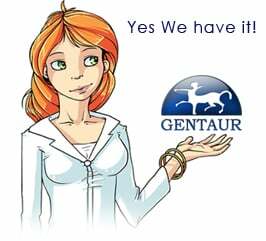 Gentaur antibody-antibodies.com The Marketplace for Antibodies : Large-scale phosphorylation analysis of mouse liver. Large-scale phosphorylation analysis of mouse liver. Protein phosphorylation is a complex network of signaling and regulatory events that affects virtually every cellular process. Our understanding of the nature of this network as a whole remains limited, largely because of an array of technical challenges in the isolation and high-throughput sequencing of phosphorylated species. In the present work, we demonstrate that a combination of tandem phosphopeptide enrichment methods, high performance MS, and optimized database search/data filtering strategies is a powerful tool for surveying the phosphoproteome. Using our integrated analytical platform, we report the identification of 5,635 nonredundant phosphorylation sites from 2,328 proteins from mouse liver. From this list of sites, we extracted both novel and known motifs for specific Ser/Thr kinases including a "dipolar" motif. We also found that C-terminal phosphorylation was more frequent than at any other location and that the distribution of potential kinases for these sites was unique. Finally, we identified double phosphorylation motifs that may be involved in ordered phosphorylation. Extracellular matrix microarrays to study inductive signaling for endoderm specification. TRIB1 downregulates hepatic lipogenesis and glycogenesis via multiple molecular interactions. Depletion of acidic phosphopeptides by SAX to improve the coverage for the detection of basophilic kinase substrates. Systematic analysis of protein phosphorylation networks from phosphoproteomic data. Enrichment of phosphopeptides by Fe3+-immobilized magnetic nanoparticles for phosphoproteome analysis of the plasma membrane of mouse liver. Immobilized zirconium ion affinity chromatography for specific enrichment of phosphopeptides in phosphoproteome analysis. Highly specific enrichment of phosphopeptides by zirconium dioxide nanoparticles for phosphoproteome analysis. Mass spectrometric identification of N-linked glycopeptides using lectin-mediated affinity capture and glycosylation site-specific stable isotope tagging.